The purpose of this page is assist potential candidates with the necessary steps to become an official candidate. 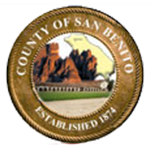 This page is only meant for offices which are managed by the San Benito County Department of Elections. There are either no Statewide offices, or the candidates for these offices were selected in the Top-Two primary in June. These candidates have no need to come to our office. Candidate must have been one of the Top-Two in the June primary election. Submit your Candidate Statement (optional) to appear in our County Voter Information Guide, during the Candidate Filing Period (July 16 – August 10). There are no extensions for these offices. The list of city offices that will be contested in the next November Election can be found on our Available Contests page. Filings for city offices are performed at the appropriate City Clerk’s office between the dates of July 16 and August 10. The filing period will be extended until August 15, ONLY if the incumbent does not file by the deadline of August 10. The extension is for anyone other than the incumbent. City Candidates will be required to submit Nomination signatures, and other forms as required by the City Clerk. Candidates may submit a Candidate Statement (optional) to appear in our County Voter Information Guide. Statements are filed with the respective City Clerk at the time of declaring candidacy and checks made payable to “SBC Elections”. See #5 below for more information. Must submit a new candidate statement if the candidate wishes for it to be published in the County Voter Information Guide. See #5 below. Continue filing Campaign Finance paperwork. See the filing schedule. Cannot change their ballot designation unless requested in writing prior to July 31. See Rules for Ballot Designations. NOTE: There are no filing fees for any School, Water, or Special District offices. Decide what office you wish to run for. Please refer to our Available Contests for the next November Election page. Ensure that you reside within the boundaries of the office to which you wish to run for, and that you are registered to vote in that district. On our Available Contests page, you will find links to maps showing the district boundaries. Click on the office to see the map. Make an appointment with us for either a consultation, or the actual filing of your candidacy paperwork, by using our Online Appointment Scheduler. Candidate Filings are first come first served, but those with an appointment will be given preference. Prepare a ballot designation (optional). The ballot designation is the word or group of words that will appear on the ballot under the candidate’s name, designating the principal profession, vocation, or occupation of the candidate. The purpose is to ensure the accurate designation of the candidate upon the ballot in order that an informed electorate may intelligently elect one of the candidates. There are rules regarding what can be used as a ballot designation. See the rules here. A statement by the candidate describing his or her education and qualifications to be printed in the County Voter Information Guide. The statement must be filed, and paid for at the time of filing the Declaration of Candidacy. For more information, click here. $900 for US Congress, State Senate, Member of Assembly, and Superior Court Judge. Please see the Candidate Handbook or call our office at (831) 636-4016 for a complete list of costs for Supervisor, School Districts, Water Districts, and Special Districts. Filed statements may be withdrawn on the first business day following the filing deadline, for a full refund. A paper copy of the Candidate Statement must be brought with you to your Delclaration of Candidacy visit. Come to our office and declare your candidacy! The filing period is July 16 through August 10. The filing period will be extended until August 15, ONLY if the incumbent does not file by the deadline of August 10. The extension is for anyone other than the incumbent. Wait for November, and Good Luck!